AKIPRESS.COM - Russian billionaire of Uzbek origin Alisher Usmanov sold his shares in Apple Inc. and Facebook Inc., and bought into technology investments such as Alibaba Group Holding Ltd. in China, Bloomberg reported referring to one of Usmanov's advisers. 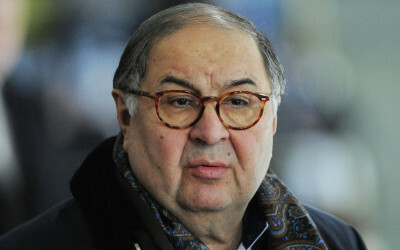 Usmanov, 60, built his Metalloinvest Holding Co. iron ore business by acquisitions and is Russia’s richest man. He bought a stake of about $100 million in Apple last year and sold it recently this year. The sale followed a gradual reduction of Usmanov’s stake in Facebook. “We hope that our investments in China’s Internet companies may show the same and even better returns as we had with the American companies,” Streshinskiy said. Apple shares have advanced about 23% since March 2013, when Usmanov first said he bought the stake. The Cupertino, California-based company’s stock has declined about 6% this year. Facebook initially plunged after its IPO in 2012 and has more than doubled in the last 12 months, taking its market value to about $172 billion. When Usmanov acquired a Facebook stake in 2009, his fund persuaded founder Mark Zuckerberg to sell by giving up its voting rights. Usmanov, with a partner, bought about 10% of Facebook when the company was valued at $6 billion to $10 billion and sold some shares in the IPO, which valued the company at $104 billion, the businessman told state television at the time. Alibaba, which operates online markets for products from Louis Vuitton bags to Boston lobsters, posted its fourth straight quarterly profit in the three months through September, according to a January presentation from Yahoo! Inc., which owns a 24% stake. The company, founded by former English teacher Jack Ma, may be worth as much as $200 billion, according to investment bank valuations, which would make it the second-biggest Internet company behind Google Inc.
Russia’s benchmark Micex index has declined about 15% since February 17, the day before Ukrainian police fired on protesters in Kiev’s Independence Square, and Russian stocks may drop more following the March 16 referendum in Crimea on joining Russia, Streshinskiy said. If stocks fall further, Usmanov’s company may consider buying shares of wireless operator OAO MegaFon and Internet company Mail.ru Group Ltd., he said. Meanwhile, Usmanov’s Metalloinvest may switch to shipping to China and other markets should Europe apply sanctions on its exports due to the crisis in Ukraine’s Crimea region, Streshinskiy also added. German Chancellor Angela Merkel last week threatened sanctions against Russia if President Vladimir Putin doesn’t halt efforts to seize Crimea.